That would be pretty cool too. Maybe he doesn't get a gun, but young Tommy could have the same stun effect that Pamela's sweater has. Make young Tommy look all weird with the shaved head, and maybe once or twice he can stun Jason briefly. I dont see them doing a young Tommy Jarvis, not only would they have to mocap a kid running around, and they would have to do a lot of work doing all kills as well which would likely mean bringing Kane back in. All of that eventually points to the real elephant in the room. No game is going to depict the graphic death of a child, especially not in this day and age. Or The Last of Us. Or The Walking Dead Telltale series. Or... you know what, I agree that they aren’t going to do a young Jarvis, but the idea that games won’t kill kids today is not accurate. Yea ok, depictions of kids dying happen, but I don't think any of those put the control in the hands of a player and having that person kill children as a game winning objective. They wouldn't have Jason kill young Tommy anyway. Jason's never killed children, and I doubt they'd start doing that in the game. If anything, it'd just be some fear or insanity meter that fills when he takes damage, once filled he'd just run away or something.  Not that I think they're ever going to add young Tommy, but it's a neat idea IMO. Plus there'd be an alternative to trying to locate Jason's shack. Present day Corey Feldman pretending to be child Tommy! Huh, Roy is a pretty decent Jason to play as. I don't think Pamela should be heard when you use him, though. Really liking the Pinehurst map too. "Hey, great kill dad! You want a candy bar?" "Yeah, teach them a lesson pops! I can help with the laundry if you need it, I'm real good at laundry!" So Gun announced all updates are on hold until they port this over to Unreal engine. Looks like we won't be Uber'ing folks on the Grendel until summer. At least they are taking steps to dedicated servers. Wait, isn't it already on Unreal? They are updating the version of the engine. Anyone still playing? Game continues to be fun, if a little broken. Haven't played for a few weeks, but I know I'll get back on when X/Grendel are released. Hopefully they don't do something stupid like lock Jason X at lvl 150. I'm honestly unsure why any character content is locked behind level. It's kind of silly. Just let us accumulate points for vanity bonuses or small perks. If I wanna start as zombie Jason I should be able to. I'd love to know the justification they used for each Jason's level lock. For me, 3 is a better Jason to use than 8. What makes 8 deserving of a higher level lock than 3? If I'm being honest though, I perform better with Roy than Jason. That might be because I haven't unlocked part 4 yet. Which Jason is best largely comes down to play style. 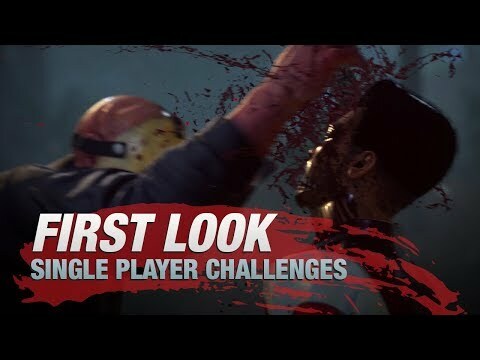 Haven't seen this mentioned yet, but they did a reveal of single player challenges for Jason. The dialog and dead fish-eyed stares leave something to be desired (although I can get past corniness in a F13 game for sure), but the idea of a mode with several special ways to kill the counselors is fairly inspired. Looks like a F13 version of Hitman. 130% increase to CP, XP, legendary perks, and RNG for all tapes this weekend to celebrate F13th, folks. Enjoy. Anyone else playing Friday the 13th Killer Puzzle on their phone? Its an enjoyable time killer during work breaks. All future DLC cancelled because of Victor Miller's lawsuit. That seems to me like using that as a reason to stop support of a game with an anemic playing populace. Like 750 people playing on steam is pretty low numbers wise. Low pop games can still make money enough to support development, though. Especially if a game takes a low number of players. Depth only has a few hundred daily users, but since it only takes 6 to fill a server, the game is alive enough to support regular content and cosmetic updates, including bimonthly events that draw more focused bursts of a few thousand active users. Basically steamcharts and other player tracking methods are bad metrics and encourage cynicism. There's no distinction in the raw data point of a game's population between a game "dying" or simply appealing to a niche. Not that I'm familiar enough with this game to know if that's what's going on here. I know that there are a lot of disappointed folks out there now, though. There's also a lot of players still playing it on console, I'm always able to find games on ps4. Sad to hear. This game got my GF into games and she actually met quite a few people online playing it. 85% off right now for $6 on Steam until November 1st.